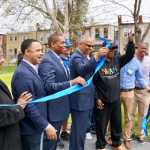 On Saturday, April 15, 2017 residents of the Easterwood and Sandtown communities gathered alongside public officials and community leaders on 1500 McKean Avenue to celebrate the opening of the newly created Easterwood/Sandtown Park & Playground. 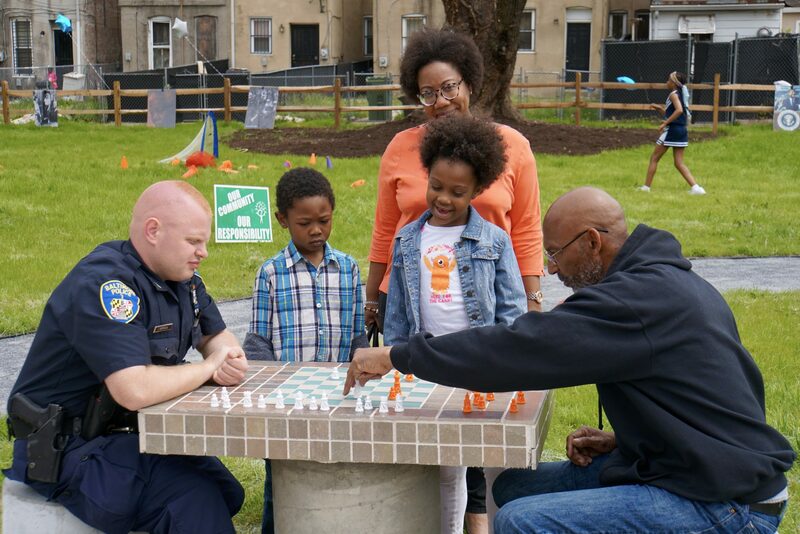 Where vacant homes and illegal dumping once existed, newly installed picnic and chess tables now stand, along with a performance amphitheater, barbeques, walking paths, swings, raised garden beds, Farmers’ Market area and a Little Library for children. 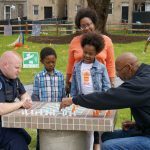 The community has high praise for the space and hopes that the park and amenities will improve public health through access to an environmentally healthy green space, reduce crime and litter by providing a beautiful space. The park is a major milestone towards the renaissance of the Easterwood Community. 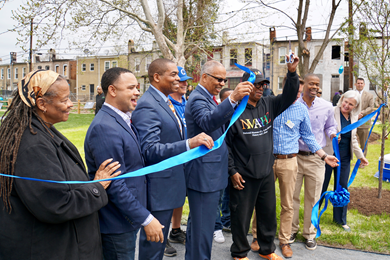 Parks & People worked to reimagine and create the site as a community park with MHCDC, the City of Baltimore’s Adopt-A-Lot Program, Carver Vocational-Technical High School, and many additional partners. MHCDC will steward the project and maintain the lot through their Adopt-A-Lot agreement. 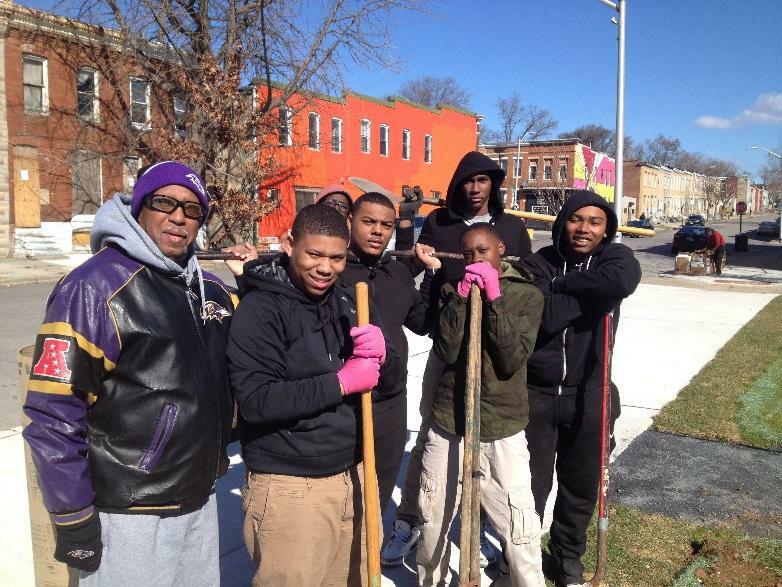 This once blighted site was demolished and cleared through the Maryland Department of Housing and Community Development’s Project C.O.R.E (Creating Opportunities, Renewal and Enterprise) program, initiating the first steps in the Fall of 2016 towards making the park a reality. The Easterwood/Sandtown Park & Playground is a true community-based transformative project in a highly urbanized environment. 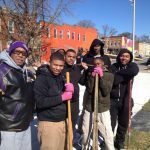 The need for more community spaces like this one is evident throughout Baltimore City.